A Chicago mum, Alyssa Garcia, 27, along with her 17-year-old boyfriend and his brother, Christian Camarena, 19, have all been arrested after authorities allegedly discovered the burned body of her 4-year-old son, Manuel Aguilar, who reportedly sometimes went days without being fed. Authorities said Manuel was so tiny that investigators thought he was a 9-month-old baby. Before his death, Manuel was allegedly kept in a back storage room that regularly smelled of urine and feces, he was often allegedly forced to remain completely naked because he would urinate on himself. According to Cook County prosecutors, Manuel also suffered alleged beatings that once resulted in a black eye, and was so skinny that his ribs were showing. According to documents obtained by PEOPLE, heartbreaking details of the case revealed in court Thursday by the Cook County State's Attorney's Office stated: Manny would always scream to be let out. "Let me out," he would allegedly scream because "Manny didn't like being in the back room." Manny's body was discovered Tuesday night after police were called to an abandoned Chicago home for an arson report and found the boy's partially burned body in the basement wrapped in a charred blanket, according to the Chicago Police Department. Officers arrested three people running from the residence. The Illinois Department of Children and Family Services said they had investigated the family before in 2012 when they got reports of neglect from concerned people. The agency's spokeswoman, Veronica Resa said in a statement obtained by PEOPLE. "We have had prior contact with this family, including a neglect report in 2012 when DCFS placed four children, including Manuel, with foster parents," Resa said. The children were returned to their mother in 2015 after she "complied with all DCFS requests and terms including attending parenting classes," she said. One of the three people arrested was Manny's mother the other two were the teenagers. All three of them have been charged with felony counts of concealment of a death and attempted arson, according to arrest documents, which noted all three smelled like lighter fluid. Additional charges are possible after results from the Medical Examiner's office are completed, police said. The Illinois Department of Children and Family Services is also investigating and has taken custody of Garcia's five other children, including newborn twins who are in the hospital for monitoring, Veronica Resa said in a statement obtained by PEOPLE. Based on an account from the prosecutor, Manny's short life was allegedly filled with abuse. He was allegedly kept in a back storage room which reeked of body waste and would have to knock on the door to be allowed to use the bathroom, according to prosecutors. He also would allegedly hide his feces in the room out of fear that his mother beat him if she found out he had defecated on the floor, prosecutors said. 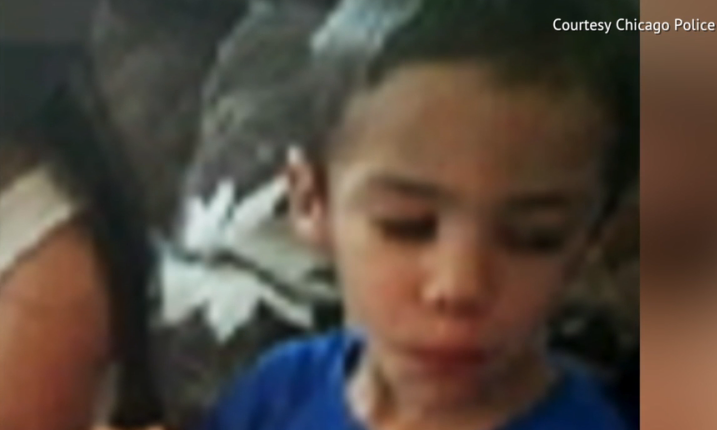 Witnesses said they would rarely see the boy eat, but would see his mother giving him water. "These defendants were in charge of feeding the child but there were days when the 4-year-old was not fed," prosecutors said, according to court documents. Additionally, witnesses allegedly said Garcia "would sometimes slap Manny in the mouth when he screamed," would beat him with a shoe on his back and once gave him a black eye, according to prosecutors. On July 29, Garcia allegedly found Manny in the back room naked and not breathing, according to prosecutors. She and the 17-year-old are accused of later wrapping the body in a blanket and putting it in the trunk of a car with a smell so strong that Garcia tried to mask it with tree-shaped air fresheners, prosecutors say. 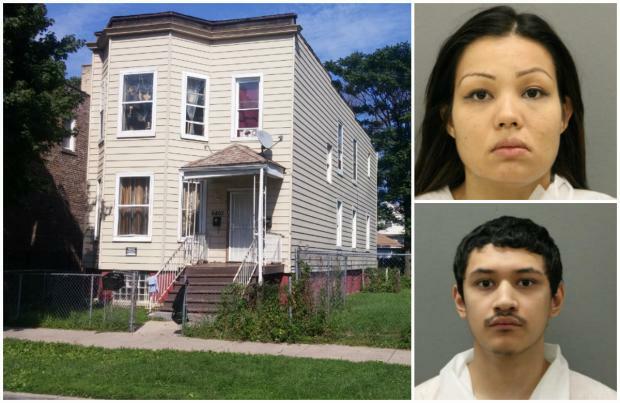 Investigators allege that Garcia said she needed to get rid of the body so DCFS wouldn't take the other children, so she and the others drove to the abandoned residence and allegedly set Manny's body on fire, according to prosecutors. The 17-year-old is being held in a juvenile detention center and is due in court again on Aug. 26.